Schapdick worked a 9-5 job in New York City before quitting it to launch his Tiny Industrial brand. 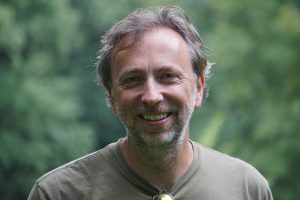 Although Schapdick (pictured) is fully capable of building conventional tiny houses, he also offers variations on the standard themes. “I just finished a tiny house for a someone in Brooklyn who has land in upstate New York. It’s a 16-foot house on one floor that he is renting out as an Airbnb. I’m also dabbling with marketing-related structures for companies that want to make an impression on customers. I recently sold a gypsy wagon to a woman who makes hats and sells them on Etsy and at craft fairs. I’m also in discussion with a distillery that wants to tow around a shack-like structure for use as a marketing magnet at events,” said Schapdick. 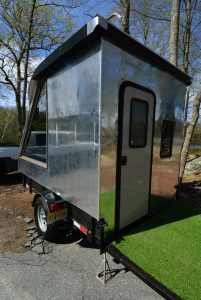 “There are stories of people who buy tiny houses thinking they are going to travel indefinitely only to discover that towing a 15,000-pound trailer isn’t as easy as they thought it might be. I offer some models that are easily towed and meant for touring the country. I build on double or single axles with 15-inch rims intended for highway use,” said Schapdick. 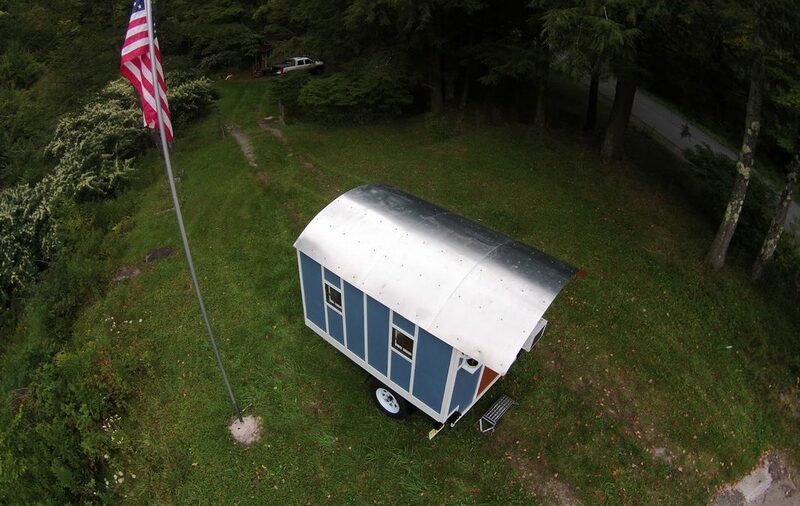 “I get a lot of response on Etsy, especially for my gypsy wagons. My most recent build was a silver metallic aviation-themed teardrop (pictured) that garnered a lot of interest from hobbyists and artisans,” said Schapdick.